Welcome to the future of full parking services in Nigeria, COMPLETE PARKING SERVICES (CPS) LTD, …the leading professional parking company in the nation. 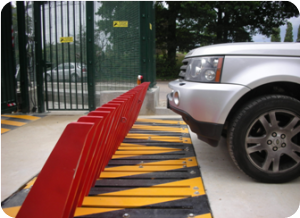 We are also Independent Parking Advisors to companies and organizations who own, manage, control or operate off-street car parks. We provide Viability Assessments. Although Complete Parking is primarily a parking consulting company, we offer full parking and integrated security services to our clients and customers vis-a-viz strategic partnership with our overseas partners. Whether it’s a Market Study to determine how many people your parking garage can attract at a given location and rate. We also provide trainings in parking skills and organise parking conferences, workshops and seminars for parking clients and customers including government authorities on local and international parking matters. As with many industries, technological innovation is transforming the design of parking garage operations. We are in the midst of a revolution of sorts, with new technologies leading to the creation of Car Park Management Systems (CPMS). Our Attendant Patrol Service will provide you with uniformed parking attendants who will patrol your parking area be it on-street or off-street as and when you need them to.